“War is violence; war is trauma.” These and similar statements recur throughout Antoon Leenaars’ book Suicide Among the Armed Forces: Understanding the Cost of Service. The noted Canadian suicidologist’s new book could not have come at a better time, as the stories of soldiers and veterans of the Canadian Forces taking their own lives have made television and newspaper headlines in recent months. The vast occurrence of suicide in the Canadian military is starting to resemble the epidemic of suicides in the U.S. military in recent years. This crisis is only now gaining recognition but, as Leenaars laments, there is a pronounced lack of data and published material pertaining to suicide in the Canadian military (165). Consequently, he must rely heavily on information from the American military experience throughout his book. One positive aspect of this reliance is that the American military is starting to make progress on – and direct a good amount of attention toward – this issue. They are finally acknowledging in an official capacity that there is a problem, although, as we shall see, this has not always been the case. The aim of the book is to make suicide in the armed forces more visible. The stigma that mainstream society has toward mental illness and suicide is brutally magnified in the military setting. This green culture does not encourage help-seeking. The military demands that soldier adhere to the warrior mentality, and many soldiers would rather die than experience the same and disgrace that admitting to PTSD or other disorders would bring. It is here that Leenaars repeatedly calls for a more understanding approach by the military. War is indeed trauma, but enduring the intense type of trauma that war bring is atypical of the human experience. Thus, the PTSD reaction is not reflective of a personality disorder, but is, rather, one possible and very common consequence of serving in the military. Leenaars writes passionately about this subject, and emphatically states that things must change! Although his use of language is sometimes informal, his style is refreshingly accessible; he remains at all times authoritative and scholarly. As this is not a typical academic work on suicide it will appeal and be accessible to anyone with a stake or interest in military suicide. Early in the book Leenaars presents the “ecological model” of suicide, within which there is no single cause for someone to take his own life, solder or otherwise. There is no one reason but, rather, a complex interplay of individual, relationship, societal, cultural, and environmental factors; all are contributors (15). Thus, although PTSD may have played a pivotal role in someone’s suicide, there are a host of other factors that could have contributed as well. Traumatic Brain Injury (TBI), for example, is considered a physical trauma but can be a huge risk factor for future suicide as it has also been known to precipitate the psychological symptoms of PTSD (231-233). Another example could be someone with substance use disorder abusing drugs or alcohol as a coping strategy to manage depression brought on by loss. These co-occurring disorders put the individual at greater risk for suicide. A major strength of the book is that Leenaars supports his theory of suicide through illustrative psychological autopsies. A major strength of the book is that Leenaars supports his theory of suicide through illustrative psychological autopsies. Drawing on personal documents, interview, official government reports, suicide notes, and several other sources, he offers case studies of soldiers from both the past and present. He paints revealing portraits of both General Upton, a civil war veteran who died by suicide in 1881, and Admiral Boorda, a key figure in the U.S. Naval “tailhook” scandal of the 1990s who killed himself in 1996. In both cases Leenaars concludes that the men decided that death was preferable to facing the shame and disgrace that their respective actions would have caused them. Perhaps the most thorough case examination is reserved for Hospital Corpsman Chris Purcell – a sailor in the U.S. Navy who killed himself with a handgun. Using every artifact available Leenaars determines in his psychological autopsy that Purcell’s suicide was most likely the result of trauma suffered in childhood, and was the specific result of the constant upheaval and uprooting caused by the realities of growing up in a military family. It is through meticulous detective work, however, whereby he concludes that Purcell’s death was precipitated by the rejection of a woman and aided by the long-term abuse of alcohol. (As mentioned above, substance use disorder is an extremely high co-occurring disorder among PTSD sufferers). Interestingly, the author reaches this conclusion after locating a conversation on the social media website MySpace that Purcell had with someone where he angrily voices the rejection. In all other documents examined, Chris seems to employ the technique of “dissembling” or evading/hiding the truth as any good soldier does. This MySpace message was the only place where he let his guard down, and showed any evidence of his clearly vulnerable state. All of the case studies presented – especially Upton’s and Purcell’s – are extensive and exhaustive. This is because Leenaars employs an investigative technique that draws on what he calls the “nomethic” (the general characteristics” and the “idiographic” (the specifics) details of each case. He believes that using both approaches in combination are essential to composing a true and complete picture of any given suicide (911). He proposes an evidence-based theory of suicide. This means that a suicidal individual displays symptoms which include a combination of Intrapsychic – (unbearable psychic pain, cognitive constriction, indirect expressions, inability to adjust, and vulnerable ego) and the Interpersonal (interpersonal relations, identification-egression (escape), rejection-aggression) (51-52). He conducts a full appraisal of these men and the insights are illuminating. These are authentic and practical examples of the psychological autopsy and, as such, some parts are definitely unnerving to read. Time and time again, however, the villain is proven to be the green culture associated with military life. 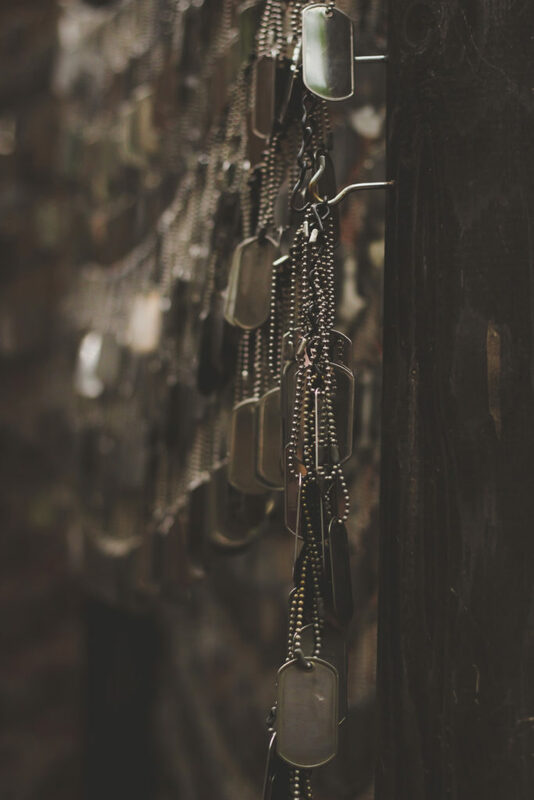 Due to the spikes in suicide that the United States began to experience during and after the Iraq and Afghanistan wars, there was increasing pressure to address this tragic issue. Historically, both the U.S. military and government responses were one part silence combined with one part denial. This is most certainly how these agencies responded to the major epidemic of suicide that occurred after the Civil War in the 1860s. This unacceptable stance continued up to the Vietnam War and beyond. A study conducted in 2005, for example, found that only 23-40% of mental health sufferers sought assistance after their experiences in Iraq and Afghanistan because they feared the stigma that would accompany such an admission (245). The suicide rate for combatants in 2003 and 2005 were 18.8 (per 100,000) and 19.9 (per 100,000) respectively. The academic and professional literature began “sounding a call for action” (160). Veterans of the U.S. military also helped to make these changes in attitude possible. Beginning with the strides made by the Vietnam vets in the 1970s, their influence went a long way toward pressuring the military to address suicide in the wake of the Iraq and Afghanistan wars. “It takes the courage and strength of a warrior to ask for help,” was an oft-repeated phrase of this campaign, and it prompted the military brass and government officials to take notice. When speaking about PTSD sufferers, Colonel Elspeth Ritchie emphasized that, although these soldiers are strong and resilient individuals, they have been traumatized and they need help. The U.S. military is now conducting suicide prevention training, and they plan to do more. An example of a positive change is the implementation of “unit watch” where a non-suicidal soldier is attached to a “suicidal soldier”. This exemplifies the “soldiers helping soldiers” approach that has been tremendously successful in recent years (247). This approach has also helped many soldiers avoid the stigmatizing experience of being hospitalized, and ensured at least a small degree of confidentiality. A similar program has been replicated to ease the return of a soldier to civilian life. This is also a peer-to-peer program and its called “Buddy-to-Buddy” (249). Leenaars believes that the reality of suicide in the Canadian military, however, is another matter. He feels that there is much to be done in both addressing the crisis and posing possible solutions. As a starting point – and as mentioned above – the practice of diagnosing soldiers with Borderline Personality Disorder or other disorders must end, and the focus on treatment of PTSD as a legitimate consequence of military life must be taken more seriously. The Canadian military’s attitude toward suicide was made explicit by Lieutenant Colonel Rahesh Jetly’s and Lieutenant Colonel Kenneth Cooper’s report at the Canadian Association for Suicide Prevention conference in Halifax in 2010. It was titled: The Canadian Forces Expert Panel on Suicide Prevention. The authors of the report claimed that there were “Low instances of suicide” in the Canadian military, and that PTSD was currently not a problem (172). These statements were made despite the fact that suicide is the leading cause of death in the Canadian military (168). The traumatizing process of war must be normalized for soldiers. And their emotional reactions must become accepted and treated appropriately. Cooper also states that, although veterans are outside of their purview, they nevertheless “Are provided with direct, adequate mental health services (and) that all is well” (171). Leenaars evidence has been accumulating to support his view. Suicide Among the Armed Forces: Understanding the Cost of Service by Antoon Leenaars (2013). Baywood Publishing C. 361p.